Combine all of Mama's favorite things to craft the ultimate Mother's Day gift. The Fingerprint Bouquet incorporates the beauty and joy of flowers and kids' own personal touch. 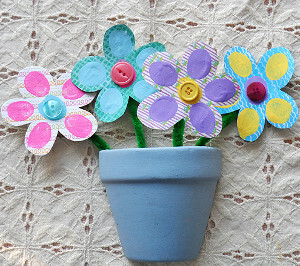 Spring crafts for kids like this make perfect decorations or presents. No matter what they're used for, they're a blast to make, they're simple, and they're sure to put a smile on your face. This fun flower craft would also make an adorable gift for a teacher. Bring the joy of spring wherever you go when you craft springtime paper crafts for kids. 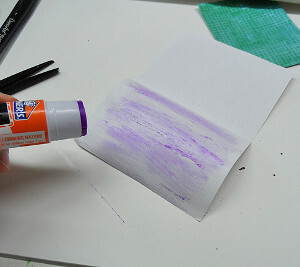 Fold scrapbook paper in half and glue together to make the paper two sided. 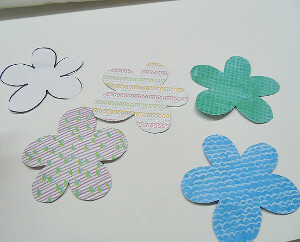 Use the pattern to cut out the flower shape from scrapbook paper. Dip finger in paint and press on to each petal. Use one color for the petals and a contrasting color for the center. 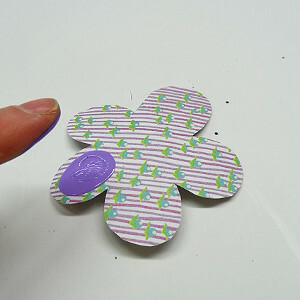 Glue a button to the center of each flower. Fold pipe cleaners in half and twist together. Glue to the back of the flower. Insert floral foam into clay pot or cup and push the pipe cleaners into the foam. This is a cute project and love using fingerprints to create some memories for mom! Another alternative would be to use heavy stock wallpaper or even fabric if you want a different look. If this is going on the wall, with only a half container pot, you would not need to complete te backs...otherwise, if this is to,sit in a table, then of course you would want the sides completed too. A fun little project sure to,please any mom! If you take the time to glue two pieces of scrapbook paper together so the flower is two sided, you might want to put the pipe cleaner between the pieces of paper as well so the stem doesn't show on the back. I assume you would also want to do the fingerprints on both sides as well. I was thinking the same thing. I think they would be darling if they were framed. 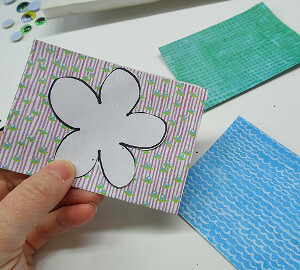 Use another piece of scrapbook paper to create the pot, then glue everything to a background piece and pop in a frame. They would last longer, and not require dusting. A bonus for Mom's I know. Very cute! It looks like half of a pot, is that just the angle?